Sterling Heights is a charming village in Arenac County, Michigan. It is located 16 miles from Downtown Detroit. Like most places in Michigan, it is generally cold all year round accompanied by a significant amount of rain. Business owners in Sterling Heights need a trusted roofing partner in making their businesses a success. Here at Miller’s Home Improvement, we promise nothing but the most superior commercial roofing services. This commitment is backed by over three decades of unbeatable experience and professionalism. Give your commercial roofing the care it needs in the form of regular inspections and maintenance programs. In return, you get the chance to enjoy a safe and long-lasting roof that you truly deserve. Poor installation can lead to bigger issues that are both costly and dangerous. Hence, for new roof installations, only trust roofing experts with credible experience. If you are currently dealing with commercial roofing problems and damages, let our team of roofing specialists give you the most accurate recommendations. With utmost transparency, we will work non-stop to reinstate your roofing to an optimum condition. No need to worry if your roofing has reached the end of its lifespan. Our team guarantees the best value for your hard-earned money through our roof replacement services. 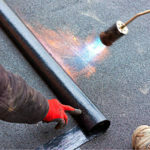 A single ply synthetic roofing membrane that is known to be fire-retardant. It also has the best insulation properties along with its excellent airtight sealing capabilities. 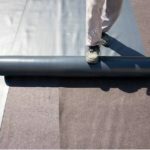 A rubber roofing membrane characterized by strength and durability. It is also known to effectively watertight edges and reflect UV rays. 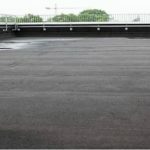 This is a tried and tested material for flat roofs that has proven to be weather-proof. It is also flexible and highly durable making it a great choice for commercial roofs. Why Hire the Miller’s Home Improvement Team?